Deepin is a popular Linux desktop with beautiful interface. Deepin together with PearOS (now its dead) were my favorite, beautiful Linux distribution. Its been a while for me not to use Deepin. And now the new Deepin 15 development is reached its Alpha 2 version. Based on the official announcement, this new Deepin 15 promises a brand new experiences in Linux desktop. What’s new on Deepin 15 ? Deepin 15 brings a fresh desktop, updated applications, new Deepin Store. 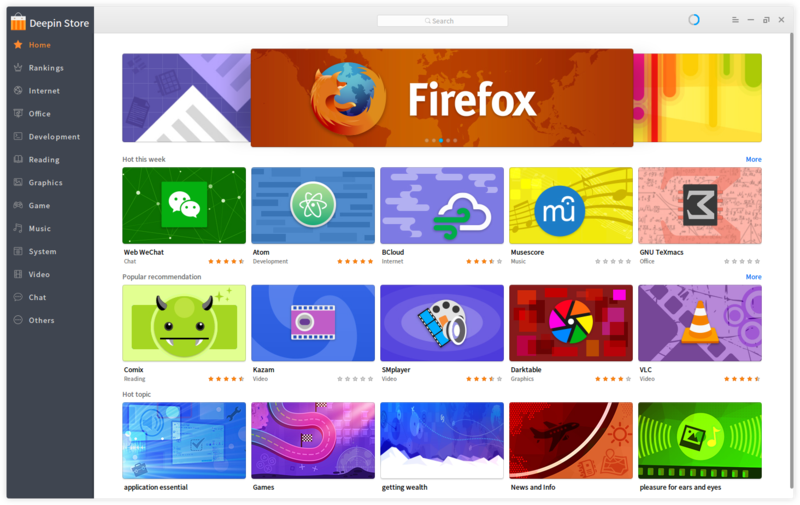 New redesigned Deepin Store make us easier to search and install programs under Deepin 15. There are still a lot more to come. Can’t wait for the final release? Grab this Deepin 15 Alpha 2 ISO and install it on your computer. Thanks for reading. Share this info if you feel useful.